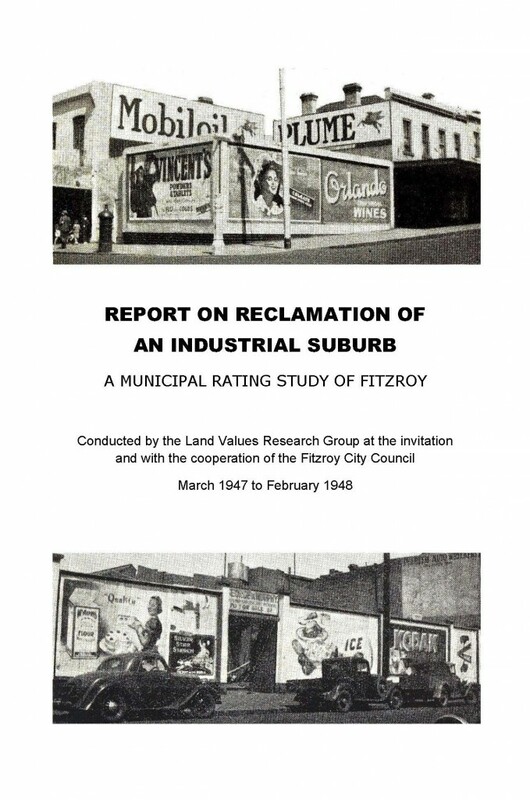 The Land Values Research Group published a study of the City of Fitzroy in 1949 showing the extent to which the municipality would benefit by switching its rating system to one based on unimproved land values, instead of on the net annual value of the property as improved. Where half the population of Victoria–excluding the City of Fitzroy–once used land values as it rating base, none now employ site value rating. Property speculators–hiding behind arguments about the ubiquitous “poor widow”–have won out. On the other hand, every council in New South Wales and Queensland does rate on site value (unimproved land values). However, property speculators in those states discovered a method whereby vacant or underdeveloped properties, or those of the super-wealthy may be subsidised just as effectively as rating improvements subsidises them in Victoria. They saw to it that ‘minimum rates’ were introduced. Effectively, this means if you’re paying the minimum rate–and some cities have 80% of ratepayers on minimum rates–then you’re subsidising those who aren’t on the minimum rate. The increasing use of minimum rates is a move by stealth towards the poll tax which caused a bloody revolt in the streets of London in 1990 when it was proposed by Margaret Thatcher. Local governments around the world are under severe financial stress because they tax construction or charge minimum rates. They fail to act on the simple fact that the value of land held is the fairest and cheapest revenue base, and the only base that encourages efficient redevelopment to land’s “highest and best use”.